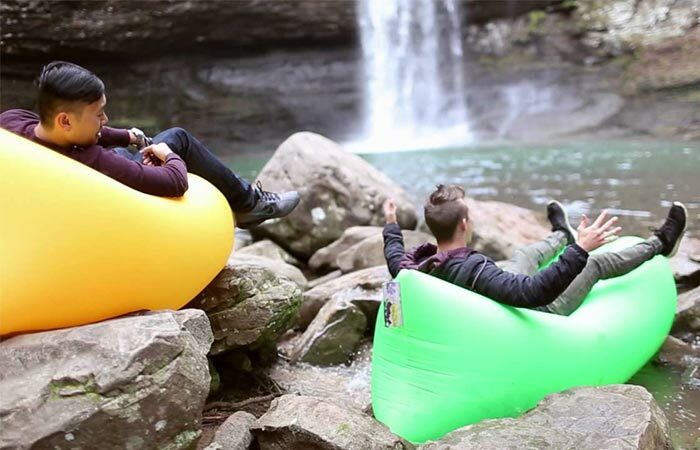 Earlier we wrote about the top 5 inflatable sofa loungers on the market, however, the WindPouch was not released yet and we believe that it requires a spot of its own. So, if you were looking for the perfect way to chill that offers both comfort and ease-of-use, the WindPouch Inflatable Hammock is just for you. Designed to be durable, comfortable and extremely easy to use, the WindPouch offers a seating solution like no other that will have you chilling in no time. There’s nothing quite like chilling out any way that you like and all of that in mere seconds of setting up. 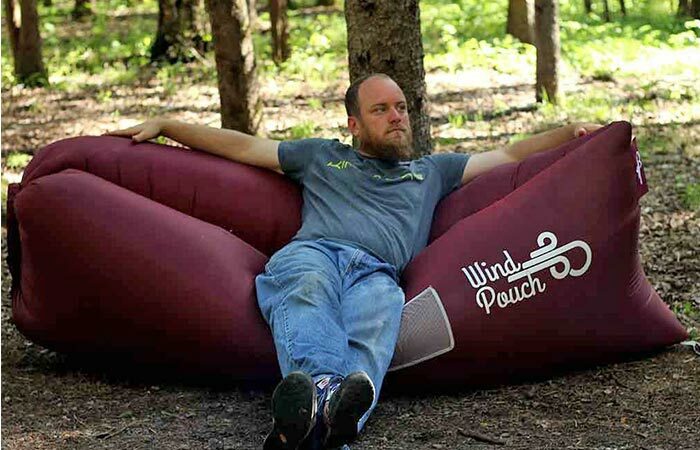 As with the other inflatable hammocks, the WindPouch is super easy to set up and it literally takes you seconds to get from no seating to relaxing. To set it up, you simply hold the WindPouch open, scoop it through the air two or three times and roll up the end. That’s it! 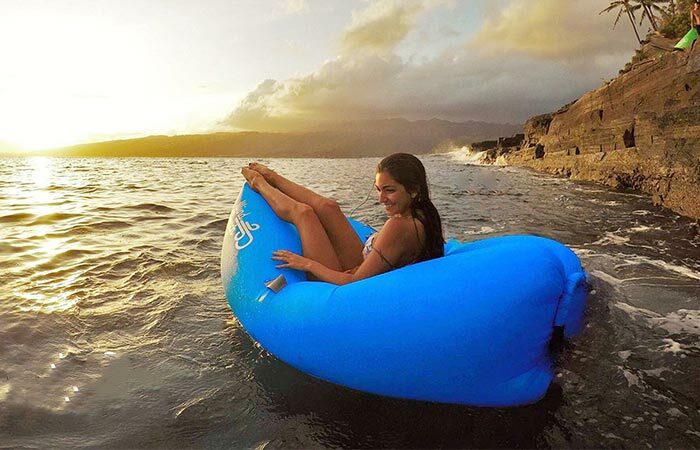 Now you have the best way to relax while at the beach or even just chilling out in your backyard. It is also an excellent solution for guests since the WindPouch can seat 2 to 3 people comfortably. Check out the video below. The diamond lattice nylon ripstop is so durable that you can even use it on rocky surfaces so that you can relax in the most exotic of places. To make sure that your WindPouch is durable, the entire hammock is constructed out of Polyurethane coated diamond lattice Nylon Ripstop that is tough enough to even be used on rocky surfaces while being waterproof enough to float in a pool. The entire WindPouch is also UV resistant, so it won’t tarnish, as well as dirt resistant and can be cleaned with soapy water. Because the WindPouch’s Nylon Ripstop has been coated in Polyurethane, the WindPouch is waterproof and can even be used to chill right on the water. To top it all off, the WindPouch comes with a securing stake, a ripstop nylon carrying case, a bottle opener, a stability loop and comes with a 2-year guarantee against defects.